Perfect launch at the perfect time,I say!!! With so many festival around,L'Oréal Paris goes outrageously POP and launches the Poptastic collection for a touch of flamboyant color! It’s outrageously colorful, it’s outrageously POP. 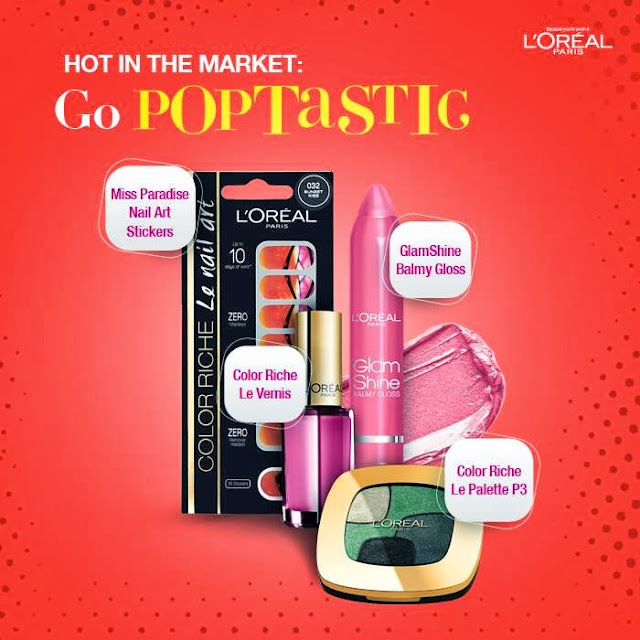 Rock your beauty must haves for this season with glamorous hot shades from the latest Poptastic Collection by L'Oréal Paris. 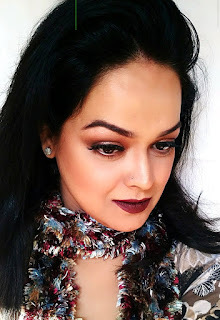 This collection is the perfectway to completely jazz up your beauty wardrobe. L'Oréal Paris introduces a set of products that will add that extra element of oomph with fun colors and exciting prints so you can live life on the brighter side! The Poptastic collection has something for everyone. Indulge in the latest shades from the Color Riche Le Vernis for your nails, Glamshine Balmy Gloss for a luscious pout and the Color Riche Eye Pallette to add that extra sparkle to your eyes! With happy hues like pinks, corals, blues and tangerine, you can go bold and funky by sporting a new bright look every day. Did you get something for yourself this festive season fro the Poptastic collection? Me looking forward to the Glam Shine Balmy Gloss! I agree look at the green..its so captivating! !